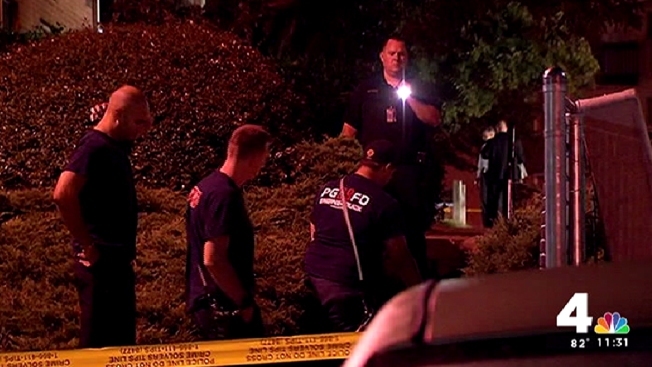 A 26-year-old man was fatally shot and two other men were injured late Sunday at an apartment complex in Temple Hills, Maryland. Authorities were called to the Princeton Estates complex on the 4600 block of Dallas Place about 11:40 p.m. Sunday. They arrived to find a young man lying on the steps outside, suffering from gunshot wounds. The victim was pronounced dead at the scene and identified Monday afternoon as Taurean Beard, 26, of Temple Hills. He was pronounced dead at the scene. Another man was grazed by a bullet, and a third was stabbed. Those men's injuries aren't believed to be life-threatening. Police swarmed an apartment complex overnight on Dallas Place in Temple Hills, where one man was fatally shot shortly before midnight. Another man was grazed by a bullet, and a third man was stabbed. 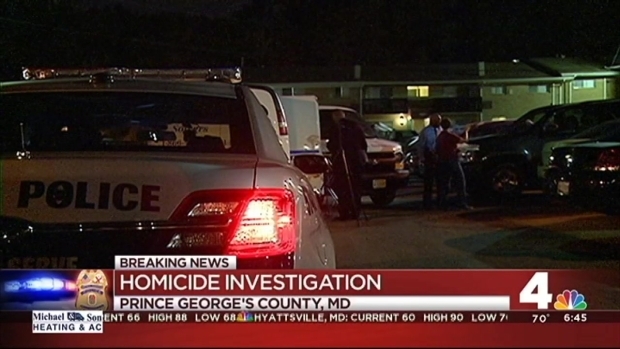 Prince George's County Police said the incident may have stemmed from an attempted robbery, and don't believe it was a random act. Detectives are working to identify a suspect or suspects. A resident told News4's Molette Green that a group of men had been hanging out near her window before she heard gunshots. Residents said they heard three shots. Harry Bond of the PGPD urged tipsters to call police. "This is your community, this is our community, we need your help, we can't do it alone," he said. Anyone with information is asked to call police at 301-772-4925. Those wishing to remain anonymous may call Crimes Solvers at 866-411-TIPS (8477), text "PGPD" plus their message to CRIMES (274637), or submit a tip online at www.pgcrimesolvers.com. A reward of as much as $25,000 is being offered in this case.